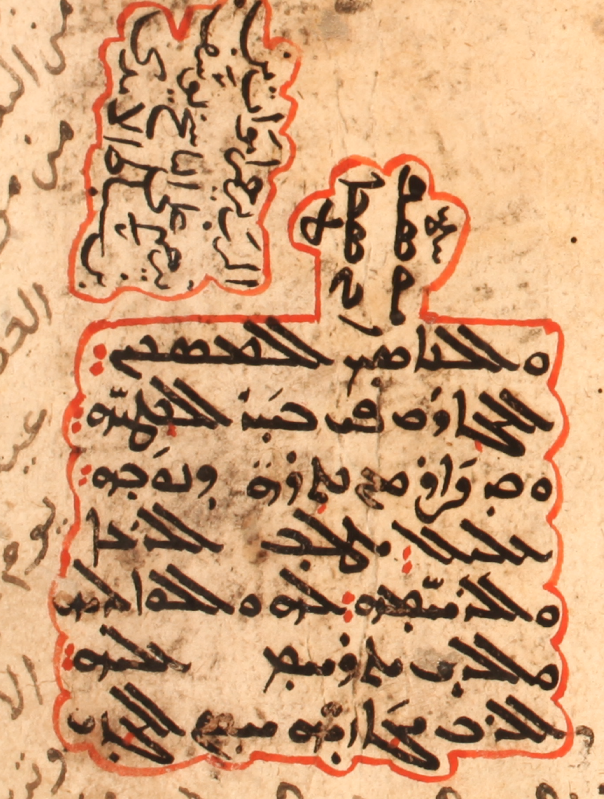 Some time ago I pointed out an Arabic/Garšūnī colophon with the phrase, “sinking in the sea of sin,” and I have since found another example from the fourteenth century (SMMJ 250, dated 1352, f. 246r, image below; sim. 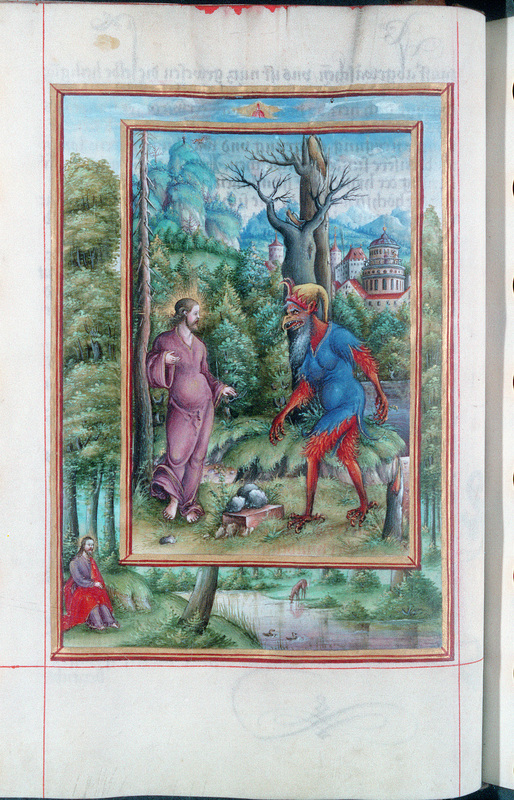 on f. 75r of the same manuscript). From the pen of my colleague, Edward G. Mathews, Jr., has recently appeared a little book of the collection of Armenian prayers attributed to Ephrem (vol. 4 of the Mekhitarist ed., [Venice, 1836], pp. 227-276; the prayers are also in an edition from Jerusalem , and others), with Armenian text and facing English translation: The Armenian Prayers (Աղօթք) attributed to Ephrem the Syrian, TeCLA 36 (Gorgias Press, 2014). A concise and helpful introduction opens the book, and it concludes with indices for scripture and subject. There is a lot of sin in the Armenian prayers attributed to Ephrem the Syrian. And there are a lot metaphors for sin in them, too, which may be wholesome fodder for certain classes of philologist. 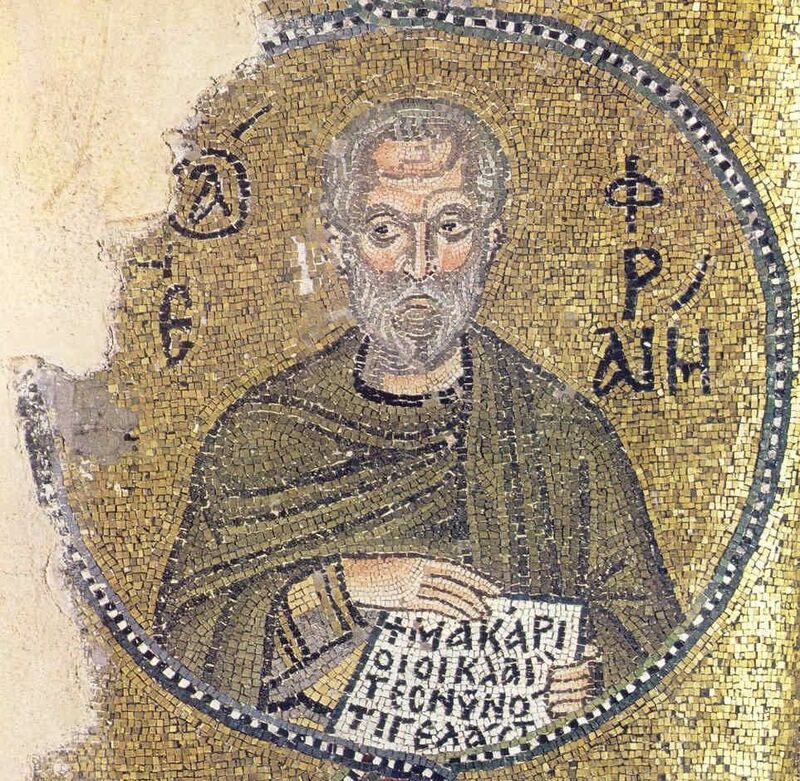 As I was going through this new book, it seemed like a fine idea to highlight some of the places in these ps.-Ephremian prayers that are similar to the Arabic phrase mentioned above. Some of the lines below have vocabulary similar to the “peaceful harbor” imagery that is used in colophons, on which see my paper, “The Rejoicing Sailor and the Rotting Hand: Two Formulas in Syriac and Arabic Colophons, with Related Phenomena in some Other Languages,” Hugoye 18 (2015): 67-93 (available here). This kind of language also reaches beyond biblical, patristic, and scribal texts. We hear Jean Valjean uttering “whirlpool of my sin” in “What Have I Done?” from Les Misérables. Now for our examples from these Armenian prayers attributed to Ephrem. For these few lines I’m giving the Armenian text, Mathews’ English translation, and for fellow students of Armenian, a list of vocabulary. …I am floundering and tossed about in torrents of iniquity. Reach out Your hand to me as You did to Peter. որ ի խորս մեղաց ծովուն անկեալ եմ. and I have fallen into the depths of the sea of sin. and settle me in a peaceful harbor. and I am drowning in the abyss of my evil deeds. Deliver [me] from the stormy and violent force of the waves of my sins. Abate the many whirlpools of my sins. To the safe and peaceful harbor of Your Holy Spirit. lest I sink in forever. Metaphors from nature for things other than sin are “the ice of disobedience,” “the fog of mistrust,” “the raging torrents of desires for pleasures,” and ” the spring of falsehood” in pt. VI, p. 136, ll. 23-26. Whether these places are of interest to you spiritually, conceptually, philologically, or some combination of those possibilities, I leave you to ponder them. I’ve been reading lately through Michael E. Stone, Adam and Eve in the Armenian Traditions, Fifth through Seventeenth Centuries, Early Judaism and its Literature 38 (Atlanta, 2013), a thick volume that collects, in Armenian and English, references to Adam & Eve, the serpent, the Garden of Eden, etc., from over a millennium of Armenian literature. There are, of course, very many interesting passages that students of the history of biblical interpretation, patristics, and Armenian will appreciate. Especially for the last named group, students of Armenian, here are a few lines of a love poem by Grigoris Ałt’amarc’i (1480-1544), kat’ołikos from 1510 (see Stone, p. 688). Stone (p. 636) publishes the lines from Mayis Avdalbegyab, Գրիգորիս Աղթամարցի, XVI դ. Ուսումնասիրություն, քննական բնագրեր եւ ծանոթություններ (Grigoris Ałt’amarc’i: Study, Critical Texts, and Commentary) (Erevan, 1963), which I do not have access to. These are apparently lines 215-218 from the poem. These lines rhyme in -ին. Indeed I ascend to Eden. 12th-cent. mosaic in Basilica di San Marco, Venice. Source. A couple of days ago UPS delivered a box with copies of my new book on two homilies by Jacob of Serug. These homilies are on the Temptation of Jesus (Mt 4:1-11, Mk 1:12-13, Lk 4:1-13), and the book, my second contribution (the first is here) to Gorgias Press’ series for Jacob within Texts from Christian Late Antiquity (TeCLA), includes vocalized Syriac text with facing English translation, introduction, and a few notes. As far as I know, neither homily has been translated before, so hopefully, even with some inevitable imperfections in this first translation, they will both now meet with more readers. The introduction has a few words about manuscripts, broader history of the interpretation of the pericopes on the Temptation, and the Syriac vocabulary Jacob uses for fighting, humility, and the devil. 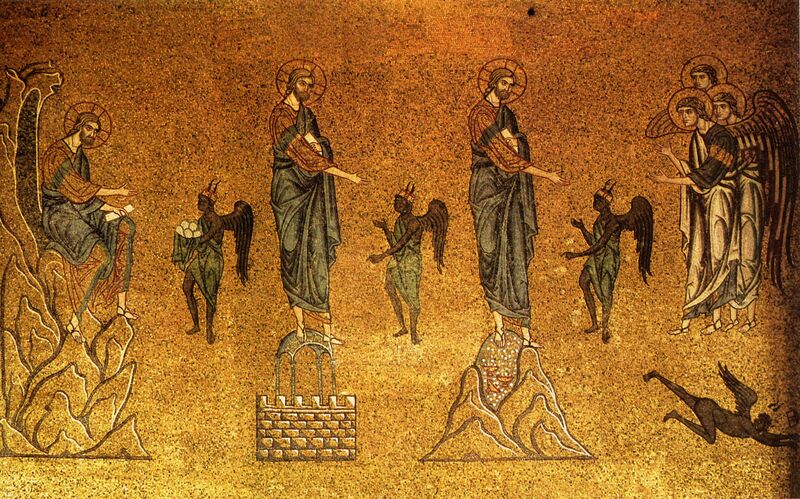 Temptation of Jesus. Vind. Pal. 1847, f. 18v. See further here. 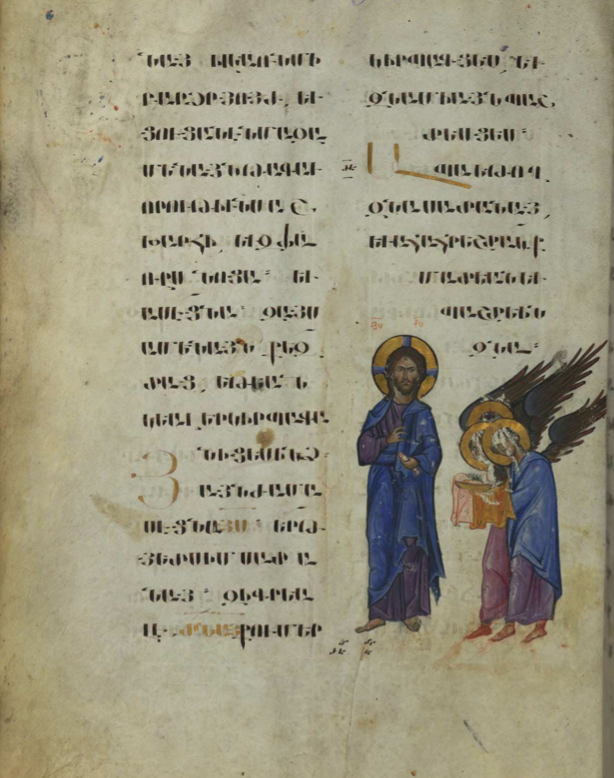 Finally, from Walters 539, an Armenian Gospel-book from 1262, here is Jesus post temptation, being ministered to by angels. The text on this page is Mt 4:8b-411. Ruffini’s new book, The Bishop, The Eparch and the King: Old Nubian Texts from Qasr Ibrim (P.QI 4). See also here. Dotawo: A Journal of Nubian Studies, a new, open-access journal. The first volume is available and includes articles on, inter alia, Old Nubian as well as modern Nubian languages. So, even though the corpus of Old Nubian is comparatively small, it’s exciting to see new work appearing widely available in this and related fields. Go have a look. As rightly locating multi-volume sets at archive.org and other repositories of scanned books is sometimes maddening, here’s a list of the volumes of the Leiden ed. of Al-Ṭabari, edited by M. de Goeje et al., that I’ve been able to find at archive.org. On the History, see EI² 10: 13-14. 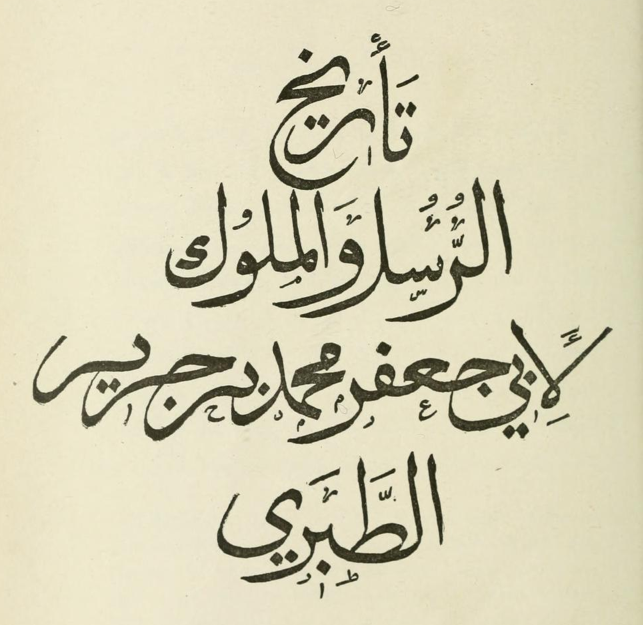 The continuation, the Ṣila of ʿArīb b. Saʿd al-Qurṭubī, was also edited by De Goeje: Arîb Tabari Continuatus (Brill, 1897) at https://archive.org/details/ilattrkhalabar00agoog. (There were other continuations, too.) NB De Goeje’s Selections from the Annals of Tabari in (1902) Brill’s Semitic Study Series (https://archive.org/details/selectionsfroman00abaruoft). (briefly) p. xxii of the Intro. volume to the De Goeje’s Leiden ed. G. Lazard, La langue des plus anciens monuments de la prose persane (Paris, 1963), 38-41. E.L. Daniel, “Manuscripts and Editions of Balʿamī’s Tarjamah-i tārīkh-i Ṭabarī,” JRAS (1990): 282-308. Title page to the Leiden edition. It’s probable that I’ve missed some of those that are available, and as I find or am informed of others, I’ll update this list. For this simple post, I just want to share a few lines from a memorable scene in the Life of the famous Ethiopian saint Täklä Haymanot (ተክለ፡ ሃይማኖት፡; BHO 1128-1134). It comes from the Däbrä Libanos version, as published by Budge (1906); for more details on this and the other versions, see Denis Nosnitsin in Enc. Aeth. 4: 831-834. For the setting: the people of a “high mountain” called Wifat (ዊፋት፡) are responding to the saint’s question of how they know when their god is coming to them. And they said to him, “He comes thundering like the thunder of the rainy season, clothed in fire, riding on a jackal, and many jackal-riders surround him on each side, all of the [mounts] blowing fire out of their mouths. Budge’s text mistakenly has መስተፅናነ፡ for the correct reading መስተፅዕናነ፡. 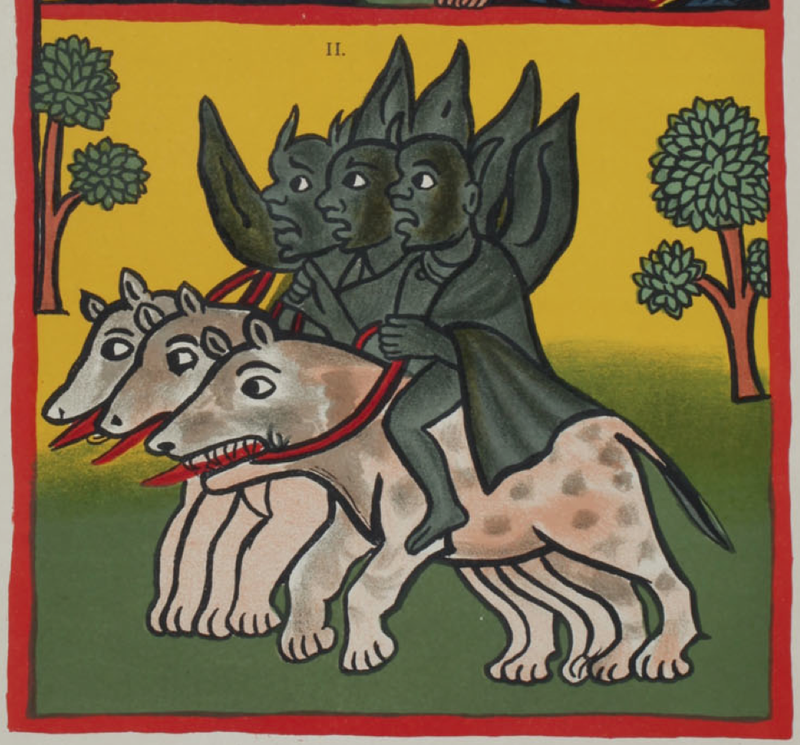 The text could mean that the jackal-riders are breathing out fire, but the image in the manuscript (BL Or. 728; see Budge’s pl. 38) obviously takes that predicate as referring to the jackals themselves. I’ve recently finished David B. Honey’s Incense at the Altar: Pioneering Sinologists and the Development of Classical Chinese Philology, AOS Series 86 (New Haven: AOS, 2001), which my friend Chuck Häberl pointed out to me a few months ago. The books covers the lives and works of these “pioneering sinologists” from various countries, backgrounds, and temperaments in what was for me a delightful reading experience. While I’ve not mentioned Chinese here before, the study of Classical Chinese language, literature, and history developed, not surprisingly, along lines partly analogous to the study of other such fields, including the textual matrices and complexes frequently touched on at hmmlorientalia. Among the scholars discussed in Honey’s book is Vladivostok-born Peter Boodberg (1903-1972), and for now I’d just like to quote part of the latter’s “Philologist’s Creed,” which Honey gives in full (pp. 305-306). It’s a testament of Boodberg’s approach to philology (not only Chinese), his “brooding humanism” (Honey, p. 306), penned in a confessional tone (with echoes of the language of Qohelet in one part), and the excerpt given here (and the whole of it) might resonate — even if wryly! — with other students and scholars. I mind me of all tongues, all tribes, and all nations that labored and wrought all manner of works with their hands, and their minds, and their hearts. And I cast mine yes unto Hind, unto Sinim, and the lands of Gogs and Magogs of the earth, across wilderness, pasture, and field, over mountains, waters, and oceans, to wherever man lived, suffered, and died; to wherever he sinned, and toiled, and sang. I rejoice and I weep over his story and relics, and I praise his glory, and I share his shame.